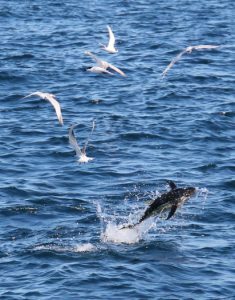 Birds, Fish, Dolphins and Whale watching from a catamaran on one of our Zanzibar Photographic Safaris is particularly good! The slow, steady movement of the boat is conducive to taking great photographs. 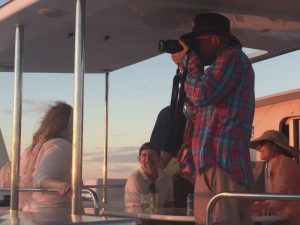 A photo captures a single moment in time, and this specialized excursion is designed to capture the magical moment when you encounter wild Dolphins and majestic Humpback Whales in and around the Bay of Nungwi and the Zanzibar Channel. As a matter of fact, the essence of our Photographic Safari is to find the wildlife and enjoy those precious moments when you can sit peacefully and watch the whales and dolphins play, breach, or just hang out. 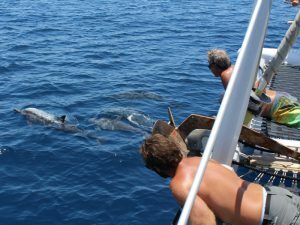 There is no such thing as a “typical day” on this adventure tour, because often it is the “wild ones” (the whales and dolphins) who are in charge of the daily itinerary. 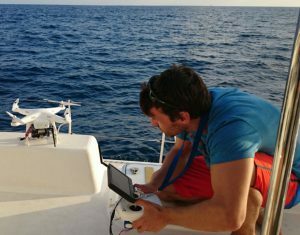 We can’t always predict where they are, so we will let them guide us along their preferred route of the day. Fish: October – Mid December and again late February – April. 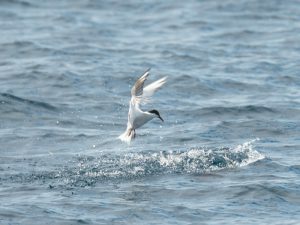 Sea Birds: October – Mid December and again late February – April. 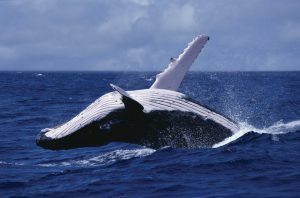 Please Note: We sail whenever possible, but depending on weather conditions or whale activity we may need to use our engines for the safety of the animals, in accordance with our “Be Whale Aware” policies for safe and sustainable Humpback Whale viewing.